DELONGHI Bean to Cup Coffee Machine HALF PRICE NOW at CURRYS! One of our little luxuries in life is a visit or two each week to the coffee shop. But getting into the habit can be a costly experience. However, with the help of a coffee machine, you can enjoy a sip of a decent cup of coffee right at the comforts of your home, whenever you want to and save a lot in the long run. In addition, coffee in its most natural state can have several amazing health benefits. The worldwide spread of coffee is said to have originated from the Ethipian coffee tree in the province of Kaffa. According to legends, Ethiopian shepherds were the first to discover the stimulatory effect of coffee when they noticed that their goats are dancing and full of energy after eating coffee berries. Originally consumed as a whole, these berries were mixed with animal fat to produce a protein-rich snack bar. Actually, it wasn’t until the 13th century that people started to roast coffee beans, which is the crucial step in the creation of coffee as we know it today. Now, people around the world are consuming hundreds of millions of coffee each and every day. We drink 55-70 million cups of coffee every day, according to the British Coffee Association and New Food Magazine. Those who go to coffee shops spend an average of £580 a year. If you want to cut this cost, this page is full of the latest coffee deals posted by our members (scroll up). Beneath, you'll find top tips to reduce your spending on coffee, but not necessarily to reduce your drinking of it. As this wonderful article in The Wall Street Journal asks, is frugality about saving money or making you feel less guilty? In other words, sometimes the small purchases are worth it. 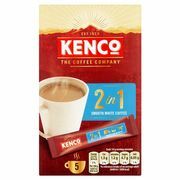 If you’re looking for cheap coffee in the UK, we have everything you are looking for to save big, from cheap instant coffee online and supermarket coffee to cheap ground coffee. 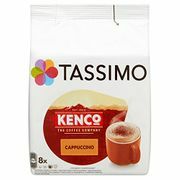 Get the cheapest coffee from your favourite UK retailers such as Tesco, Amazon, Asda, Currys, Argos, Sainsbury’s and more! Enjoy massive discounts on Starbucks, Costa and Nescafe coffee deals as well as free coffee vouchers and free coffee samples and coffee pods from Cariad Coffee and McDonalds. Is saving money on coffee worth it? As I wrote in this blog post, frugal advice often doesn't work because there's too much of it, administered too often and in too many forms. It's like a doctor giving you a handful of pills mixed in various doses and saying, "good luck". It's from Ramit Sethi, author of I Will Teach You To Be Rich. You realise you're spending a lot on coffee, you cut your costs and smile at the success, then you start to indulge again. Over and over the process repeats. It's like a diet, forever an aspiration but never the way. Coupons and freebies are brilliant, but for many people they're not a sustainable long-term way to save money on coffee. Not because they don't work - they do - but because people's psychology behind adopting their use is often wrong: They do it out of guilt. Don't do it because you think you should. Don't make rules and promises to yourself that in six weeks' time you know you'll break. Instead, go for the big wins. Think of it in terms of gains. Here we explore the methods to save money on coffee without "cutting back". First, let's take a look at the coffee market and what people are buying. 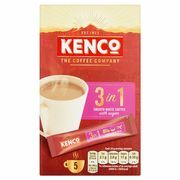 What coffee are people in the UK buying? 80% of households buy instant coffee, but this trend is moving towards ground and whole coffee beans. The difference is amongst generations: 16-34 year olds buy more of the latter, and account for 16% of total coffee purchases. On the high street, 80% of those who visit coffee shops do so at least once a week, with 16% going every day. Brits spend £3 billion a year on coffee, with sales expected to rise to £3.75 billion by 2020. Most of these are bought at Costa, Starbucks and Cafe Nero. Research by Think Money estimates people who go to these big coffee shops spend an average of £580 per year. Espresso. This coffee is short, intense, black and strong. Espresso dopio. Espresso double shot. Espresso con panna. Espresso topped with whipped cream. Cappuccino. Equal parts of espresso, steamed, frothed milk then sprinkled with chocolate. Flat white. Microfoam, steamed milk with small, fine bubbles and a velvelty or glossy consistency, over a single or double shot of espresso. Americano. This is espresso diluted with extra hot water after you brew it. Mocha. Espresso with steamed, frothed milk and hot chocolate. Frappe. This is just like a coffee milkshake comprising of coffee, sugar and a little water mixed together and poured over iced and then topped up with milk. Lungo. A longer extraction with the same amount of ground coffee as espresso but with twice as much water. Latte. A combination of a third espresso and two thirds steamed, hot milk. Macchiato. Espresso with just a dash of steamed milk. You can cut your costs without changing your habits nor where you buy your coffee simply by understanding the reward schemes and options available. One method is to bring your own cup. All the chains offer a discount on coffee if you present your own mug or takeaway flask. Their motive for this is to cut down on waste. How much can you save? You may be able to save money by switching coffee shops. Everyone has their favourite, but as discovered when looking for quality bargain wines, even professionals cannot consistently tell the difference between expensive and cheap coffee. A blind taste test led by Consumer Reports magazine and published in Seattle Times found McDonald's coffee tasted better than Starbucks. And it costs £1 - £1.79 for a white coffee, which is cheaper. This graph from City AM shows the cheapest and most expensive coffee shops on the High Street. Starbucks is the most dear, and though you may not have considered it, Wetherspoon is the cheapest. Switching from Starbucks to Pret a Manger could save you over £100 per year. Cafe Nero has a loyalty card which is stamped every time you buy a coffee. You get your 10th coffee (or hot drink) for free. Just by using this alone you save 10% overall. Here's the official page on Caffe Nero explaining you get an extra stamp for using your own cup. Go to the 'Cafe Nero App' section, half way down. Plus, every Tuesday you can get a free coffee at Caffe Nero with O2 Priority. You still receive a stamp for this, which combined with everything else really helps you rack up those free coffees fast. Finally, Caffe Nero has an app that you can collect the stamps on. If you pay with contactless the stamps are automatically applied to your account. Sometimes they give you bonus stamps although it has not yet been determined when or how this occurs. Furthermore, you're unable to receive extra stamps through the app for bringing your own cup (please get in touch if this changes). Wetherspoons offers free coffee refills every day until 2pm. Buy a coffee (prices start at just 80p) and ask for a refill. Plus, there's free WiFi so it's great place to do work from. ebay is an excellent place to buy cheap coffee. Manufacturers, distributors and merchants sell ground and whole bean coffee in bulk for less. 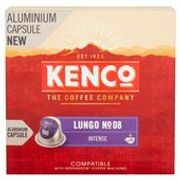 For instance, in this deal I show how to get 1KG of Cafe Azzurro Oro Italiano coffee beans freshly ground to however you like it and delivered for about 20% cheaper than supermarkets. As its in a larger quantity than you'd normally buy, you may need to keep it sealed and refrigerated. Buy whole beans and grind them yourself. You can save money if you buy coffee beans whole and then use an electric grinder. However, this won't be cheaper if you buy the whole beans at supermarkets. Because there is low customer demand for whole beans, prices are high in small quantities. Online retailers such as Discount Coffee sell large bags of coffee beans for less. For example, 4KG for £25. Once ground, this works out to be about half the price of instant coffee per serving (about 5p per cup). Instant coffee is on average the cheapest per cup. Aldi's starts at £1.49 but Nescafe Original can be expensive - price comparison site MySupermarket shows it for over £5 at ASDA for just 200g. If you buy instant, switch to a home brand but note - taste differences are determined most by the milk and sugar you use, not the coffee. So if you think a different brand tastes disgusting, try altering the amount of sugar and milk you use first. Buy in bulk and freeze it - Did you know you can freeze coffee? The handy website EatByDate explains ground coffee maintains its quality 5-6 months when frozen, and coffee beans up to 2 years. This means you can buy in bulk from a distributor (or ebay) and save a lot of money if you have the space. To defrost the coffee, simply leave out overnight. Coffee machines work out cheaper in the long run than buying coffee from high street stores. However, there are big differences between the capsules and pods you must use. Our community is always on the look out for cheaper alternatives to the branded pods with discount supermarkets and Amazon leading the charge. If you shop at Waitrose you can get a free coffee with every visit. There was a time when you could walk in, present your MyWaitrose card and get a free coffee. Now there's a minimum spend of £10. So this is only worthwhile if you're shopping there anyway. Coffees are not created equally. The type you choose can make a massive difference to your health. When choosing for a good cup, consider some of these key factors. Certified organic. Coffee that’s certified organic means that no herbicides, pesticides or chemicals have been used in the production of the blend. Fair trade. Many of the coffee-dependent workers around the world are in developing countries such as Colombia, Vietnam, Mexico and Brazil. Producing coffee is a job that’s labour intensive that yields very little income for the farmers. Fair trade allows the farmers to improve their position and also have more control over their lives. Mycotoxin-free. Mycotoxins are the fungal by-products that naturally grows on the beans. This include certain toxins that can make you feel somewhat overstimulated and jittery and can potentially lead to a number of health concerns. Single origin. Roasters will often tell you blends are made to create unique flavour profiles and a coffee that’s consistent, and single origin beans are more for coffee enthusiasts. Although this is true, but what they don’t tell you is that since coffee blends are beans mixed from multiple areas, you basically zero assurance of where your coffee comes from. So instead of buying a blend, buy from single origins to guarantee quality and decrease the growth of mycotoxin.